Kids love us. Doctors recommend us. 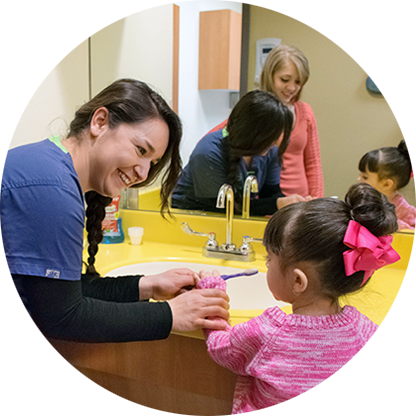 Just For Grins Pediatric Dentistry provides oral health care services at a level of patient care that is beyond what you’ll find at a typical office. 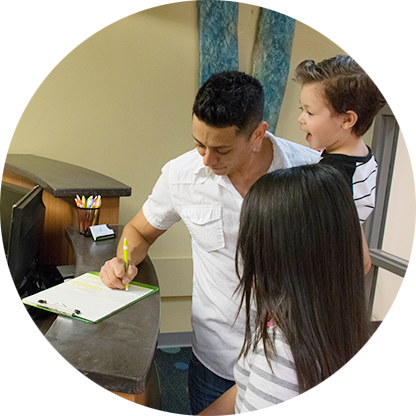 Our doctors manage oral health care within the framework of your child’s overall well being, and in accordance with contemporary health care philosophies. 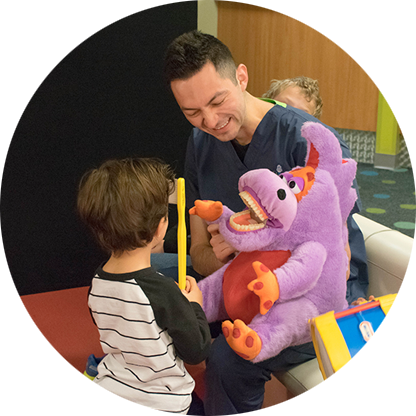 Just For Grins Pediatric Dentistry delivers premium care that gives you the security and peace of mind you seek. "The Home of Happy Teeth"
Availability of after-hours emergency care is an important part of continually accessible care. Parents have time to consult with us and to consider our expert advice. Our recommendations and treatments are always evidence-based and peer-reviewed. We are also pleased to comply with requests for email correspondence or further information, or to arrange a time for a phone consultation.